Is it time to replace your old roof, and you are looking for the right roofing materials? Figuring out which one to install is an important matter, and you need to consider what would be the best choice for your budget, geographic location and style needs. Roofing shingles are a viable choice if you want a roof that is economical, but still offers, such desirable features as safety, quality, low maintenance, and ease of repair and installation. This combination of decent quality and price makes asphalt shingles the most popular and competitive material on the market, favored by homeowners and contractors alike. Estimate the prices of new asphalt shingles roof with our Roofing Calculator. Within the class of asphalt shingles materials there are different options you can choose from, ranging from the most basic 3-tab shingles to upgraded, superior quality laminated shingles. Some of these options are more expensive than others, and you will have to decide whether their extra benefits are worth the extra cost. If you are on a budget and are looking for the most basic yet quality shingle material for your roof, the classic 3 tab shingle is a great option. For decades, this has been and still continues to be the most commonly used shingle on most residential roofs in the US. The 3 tab shingle is about 1-ft. tall x 3-ft. wide, and has the same thickness throughout. From the bottom end, narrow slots are cut about half-way up the shingle to create three tabs. Each one is about 5-in. tall x 12-in. wide. This construction results in a clean, flat look throughout your roof. 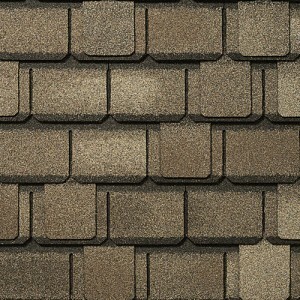 The 3 tab shingle offers a number of benefits and safety features. It typically carries a 25-40 year prorated warranty (for details read our section on asphalt shingles longevity and repair, below). It is wind resistant up to 60 miles per hour and carries a 5 year warranty, which should be just fine if your house is located in a region that is not prone to strong winds. It is easy to get confused when shopping around for an upgraded version of an asphalt shingle, since this shingle has a number of different names. Laminated shingles, architectural shingles and three-dimensional shingles all refer to the same thing. The main difference and advantage of these shingles is that they have at least two layers of fiberglass matting that are individually coated in asphalt, and then laminated together. This construction creates extra thickness. Laminated shingles have a warranty that is correlated with their thickness; the thicker the shingle the longer the warranty. For example, triple laminate shingles carry a lifetime warranty. This feature enables laminated shingles to have better tear off resistance; some are rated to resist winds of 120 miles per hour. If you live in a hurricane prone region of the US, investing more money for the added security of your home is a smart financial decision. Another important safety feature of laminated shingles is strong fire resistance. This is especially true of laminated shingles that have a heavy granulated top coat, which provides the highest Class A fire rating. If you would like your roof to have great curb appeal, laminated shingles are the right choice for creating a variety of custom looks that will suite many home styles and different aesthetic tastes. Unlike other asphalt shingles, the laminated ones create visual depth on a roof, which is why they are also called three-dimensional shingles. 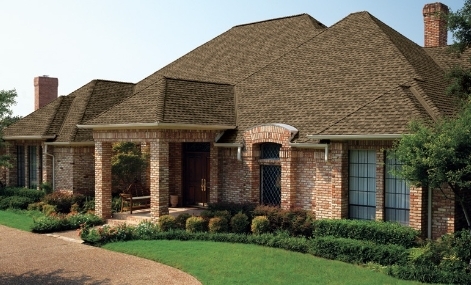 Depth is created by a special process of installing thick and thin shingles side-by-side. This is done by taking a flat shingle and trimming it to have tabs that are separated by large gaps. Next, an extra shingle layer is bonded below the tabs. This added shingle is a large, solid rectangle whose surface is hidden by the overlying tabs, and is therefore visible in the spaces between the tabs. The result is a roof that looks like it is made with thin and thick shingles placed in a natural and random, yet orderly way. In addition to offering a great look, laminated shingles have a special design feature that helps prevent a common aesthetic problem: black streaks caused by algae. This problem is very typical on shingles in regions with high humidity and frequent rainfall. Laminated shingles are more algae-resistant, because they are coated with copper or zinc granules, which leach over time, inhibiting algae growth. Typical 3-tab or “30-year” architectural shingles will last 15-25 years, and ONLY when properly installed, and with adequate roof ventilation. If your attic is not ventilated, shingles will “cook” from excessive heat, dry up, become brittle, and the roof will begin to loose granules (which protect shingles from UV radiation). 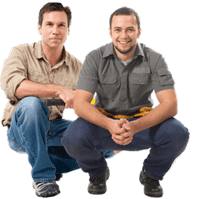 Inevitably, leaks will occur, requiring occasional roof repair or a complete replacement. If you are giving purchasing asphalt shingles serious thought, you should also be aware that this is not the most environmentally friendly material on the market. Since asphalt shingles are made with petroleum, their manufacture contributes to the negative environmental impacts of recovering and processing petroleum. These include water pollution and emission of toxic gases that contribute to global warming. Another issue is that at the end of their service life, asphalt shingles have to go to our landfills, which are already overflowing. While theoretically they can be recycled, the logistics and costs are usually too high. Contractors must go out of their way to recycle old shingles, which includes separating them from other debris during roof tear-off, and coordinating with a recycling company for storage and pickup of old shingles. Since most roofers do a roof / day, they will not bother with recycling old asphalt shingles. Additionally, there are very few companies that engage in asphalt shingles recycling, and are not present in most states (in part due to tough regulations and costs). Asphalt shingles are also NOT a “cool roof”. They attract solar heat and store it all day long, transferring the heat into the attic space, which drive up cooling costs. 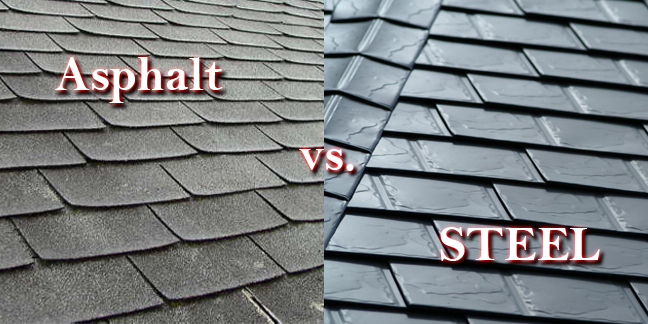 While some asphalt shingles come with “cool roof” coating, they or only marginally cooler than regular asphalt shingles. NOTE: You should not install any type of asphalt shingles on a roof pitch of less than 3 in 12. Because asphalt shingles are designed to help rainwater run off a roof, a minimum pitch of 4 to 12 is required to install asphalt shingles correctly, and avoid premature leaks. To learn more about what roof pitch is, and how to calculate it, click here. There are more than a dozen asphalt shingles manufacturers in the US and Canada, and many of them specialize in manufacturing of other roofing materials, as well as a complete line of accessories that goes along with their asphalt shingles. Roofing underlayment (felt / tar paper, Ice & Water Shield, synthetic underlayment, etc). The most prominent manufacturers include: GAF / Elk, Certainteed, Owens Corning, Tamko, IKO and others. Please note that the order in which these companies are listed does not imply that one is better than the other, or that the first company is better than the last. Judging which one is better is very subjective, and you need to look at MANY aspects, before making your decision as to which brand to use. In our experience, most asphalt shingles are more or less equal in quality, and you should be choosing a contractor first, and a shingles material second. One of the best alternatives to asphalt shingles is metal. Metal roofs typically outlast asphalt by 3-4 times (35-50 years) and often last much longer. Metal roofs are cool – they reflect solar heat, instead of storing it and heating your attic. They are not prone to ice dams, which are the leading cause of leaks in the northern states and Canada. Metal roofs come in a variety of styles and colors – you can get traditional vertical panels (standing seam) look, metal shingles that resemble real slate, cedar shingles or tile, and many other profiles. Check out our metal roofing guide for more info. More and more people are upgrading their shingles these days. If your looking for longevity, it’s always better to get away from the 3-tab shingle. Architectural shingles are the way to go unless you choose a luxury shingle.